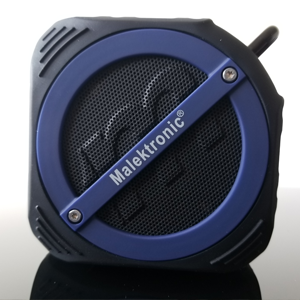 Hat Trick 2.0, the Malektronic Waterproof Wireless speaker has 3 goals. It is Waterproof, Shock Proof and Dust Proof. 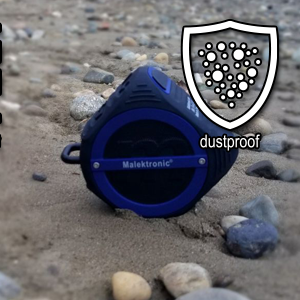 There are very few wireless speakers that are 100% waterproof in the market. Hat Trick is rated IP67 and can go underwater up to one meter and continue to operate. 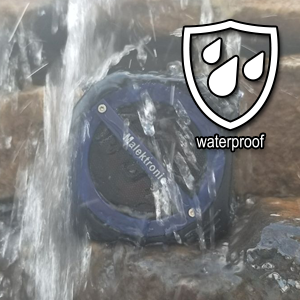 Many other products claim "waterproof" but are only splash proof with ratings of IPX6 or below. Then you read the fine print and it says keep away from water. The Hat Trick can be taken on all your water adventures such as paddle boarding, kayaking, boating, swimming, surfing, and tubing down the river. We also made it light weight so it will float on top of the water. To make sure Hat Trick doesn't get away from you, you can attach the included locking carabiner to hook on to your equipment. Hat Trick is tough, plays rough and never complains about getting wet! 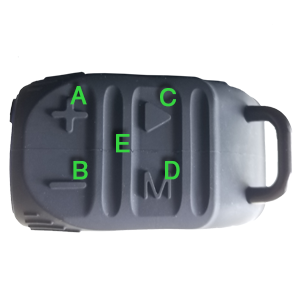 Easy to use controls all located on the same side for quick handling. 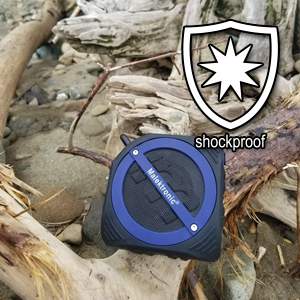 The Malektronic Hat Trick 2.0 is truly waterproof with a IP67 Rating to back it up. Hat Trick 2.0 can withsand being totaly submurged in water. Other products claim waterproof, but are only water resistant or splash proof. Hat Trick 2.0 was designed to be used outdoors, dropped, and you won't be shocked with the results. You wont be afraid to bring it along to those rough outdoor or sports activites. Hat Trick 2.0 can handle it! Hat Trick 2.0 loves the beach and other outdoor places. So we needed to make sure it could handle the sand and dirt that come along with it. With Hat Trick 2.0 there is no ifs, ands or dust about it. Wipe it clean with a dry cloth or even clean with water. Its certified Dust Proof.